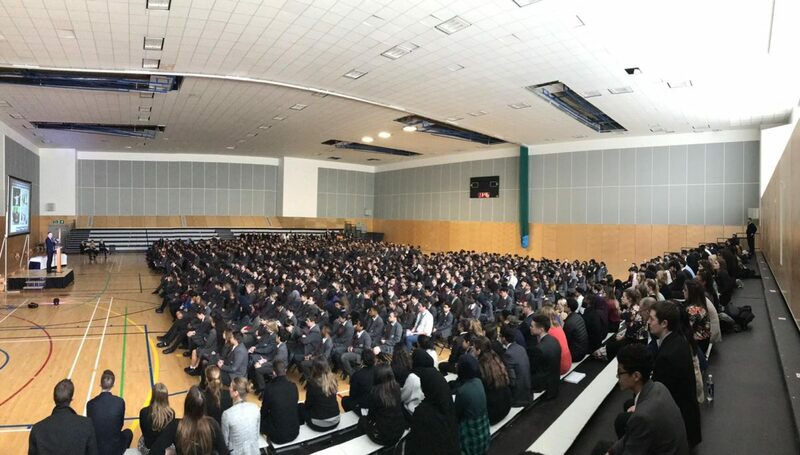 On Friday 5th April, staff and students gathered for KAA’s first ever full school end of term assembly with all seven year groups. Over 1,300 staff and students congregated in the Kensington Leisure Centre sports hall to celebrate the achievements of our students’ in the Spring term. Principal Mr Benson was joined by the school’s Chair of Governors Mick May and Vice Chair Lucy Morris to hand out awards for Academic Excellence, Academic Resilience, Reader of the Half Term, and 100% Attendance. 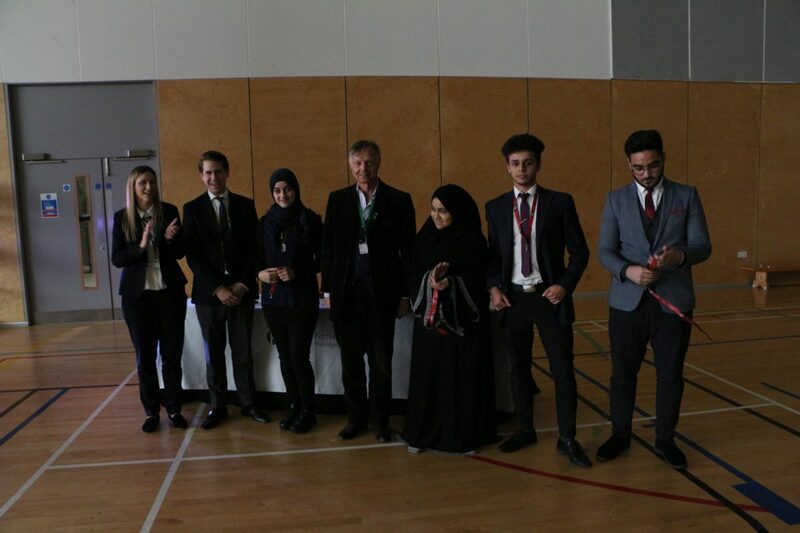 Following a student ballot on Friday 29th March, the Head Boy and Head Girl were announced at the end of term assembly and presented with their lanyards. , Congratulations to Anas and Hoda for their appointment as Head Boy and Head Girl, as well as their supporting team of Deputy Head Boy Ahmad, Deputy Head Girl Tahira, Senior Prefects and full prefect team. Between the presentation of prizes, the KAA choir sang two new songs for the gathered students. 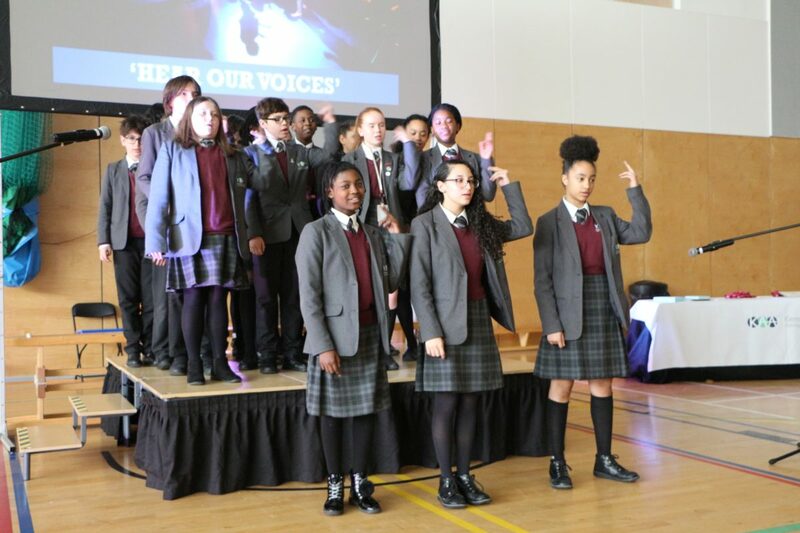 It has been an extremely busy term for the KAA choir, with the release of The Choir: Our School By the Tower, a concert at the Royal Albert Hall, and most recently an appearance at the Notting Dale community event. Finally, the winner of the Spring 2 major house competition – House Drama – was announced by Mr Benson as Angelou. He then revealed the current leaders in the race for the house cup as Honeyball, after a strong performance from them in interim competitions and collecting commendations. It was a historic moment to have every year group gathered in our first full school assembly. We wish our students and parents a relaxing Easter break and look forward to welcoming students back on Wednesday 24th April for the start of the summer term. 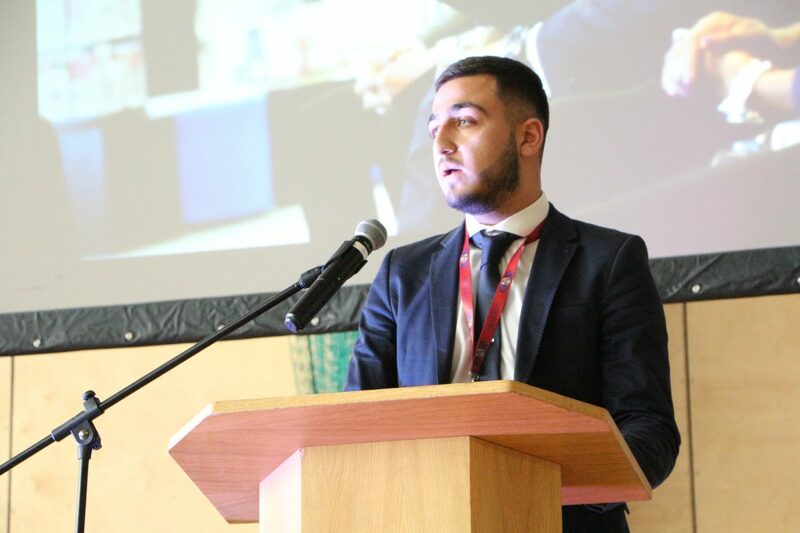 Our outgoing Head Boy, Rostom, gave a student reflection on the resilience and excellence students have shown this term.